Not many folks have been paying attention to the US dollar’s latest jump, which is too bad, because it’s opened up a glaring profit opportunity. A low-key fund throwing off a 7.6%—and growing—dividend and whose price is poised to surge with the greenback. Before I unveil it, let’s take a quick look at how the dollar is driving this profit opportunity. When you see what I have to show you, I think you’ll be chomping at the bit to jump in. First off, the dollar has had a troubled history with President Trump, and that history is by design. During the presidential campaign, Trump repeatedly said he would work to make the dollar weaker in a bid to boost US exports. That, so the argument goes, would boost US exporters’ bottom lines and offset America’s trade deficit with China. This is a chart of the PowerShares DB US Dollar Bullish ETF (UUP), which tracks the US dollar compared to a basket of foreign currencies. UUP had been doing extremely well after the Great Recession of 2007–09, in no small part due to investors looking for a safe haven (the US dollar is the safest haven on the planet). So when that began to unwind in 2017, a lot of investors took this as bullish for stocks, and the over 20% gain in the SPDR S&P 500 ETF (SPY) last year confirmed this belief. While it’s true that the weaker dollar helped US exporters, a stronger dollar is usually better for stocks because it signals a stronger American economy. 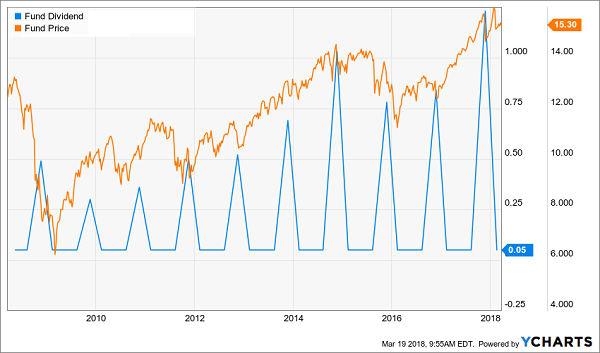 Although the stock market has been mostly flat for 2018, the economy itself is roaring. And that brings us back to the US dollar. Keep in mind that large American companies have massive hoards of cash on the sidelines, and most of that cash is in US dollars. A stronger dollar means that cash is becoming more valuable—and it also means these firms have more leverage to further pay down debt. Which is what makes the pick I want to show you today a serious contender. The Apollo Tactical Income Fund (AIF) is a closed-end fund and the payer of that massive 7.6% dividend I mentioned earlier. 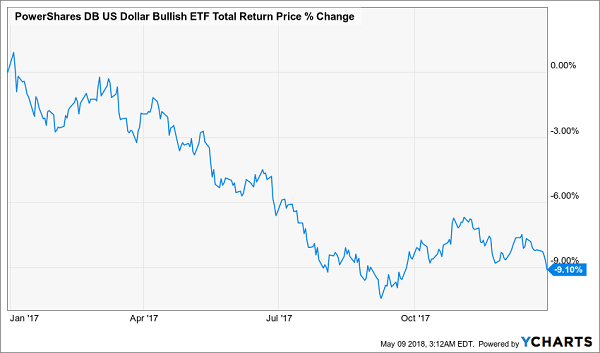 It’s primed to cash in as the greenback races higher, yet the market is underpricing it—AIF trades at a 10% discount to the market value of its portfolio! What’s the reason for the disconnect? Part of it has to do with AIF’s small size. As a fund with $391 million in assets, it’s easily overlooked in a market where funds often have many billions of dollars. Another is that people have been bidding down AIF and other funds like it because of higher interest rates and, you guessed it, the stronger dollar. First-level investors see that this is a corporate-debt fund, they read that the Fed is raising interest rates, and they know that higher rates cause bond prices to fall. They come to the conclusion that this fund is doomed. Second-level investors, however, look closer and recognize that AIF’s portfolio is actually a mix of corporate bonds and senior corporate loans, the latter of which are lent out at a variable interest rate. This is important. Simply put, senior corporate loans go up when interest rates rise, as does the income stream those loans give to the fund. So not only is AIF poised to benefit from companies’ stronger cash position thanks to the rising dollar, but its income stream is also set to rise, as the fund has been shifting to senior loans in anticipation of the Fed’s interest rate hikes. 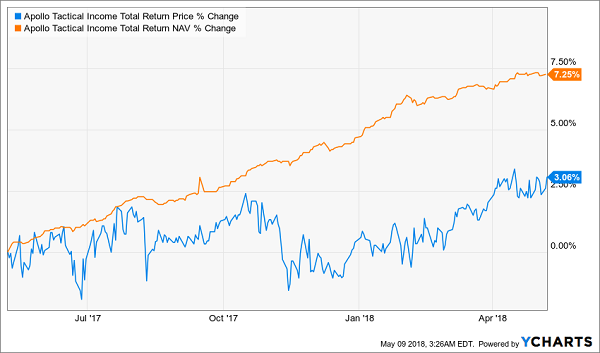 This misunderstanding sets AIF up for strong gains when other investors finally catch on, especially in light of the big discount at which the fund trades today. The 7.6% yield is the cherry on top. AIF isn’t the only way to cash in on companies’ rising cash hoards and improving balance sheets. Because there’s another way that’s even less well known—and it can hand you a fat 9% dividend stream, too! I’m talking about the surge in companies paying “special” dividends that will follow as cash piles grow. And these happy dividend surprises do more than just fatten your income stream—they drive share prices through the roof, too. Funny thing is, this fund pays out a one-time special dividend every year without fail—and when you add this “bonus” payout to this fund’s regular dividend, you get a “true” yield of over 9%! But because most fund screeners don’t track the fund’s “real” dividend, the herd has no idea it even exists! That lack of knowledge—and this fund’s ridiculous 15% discount—perfectly set up our buy window. The pattern is unmistakable. 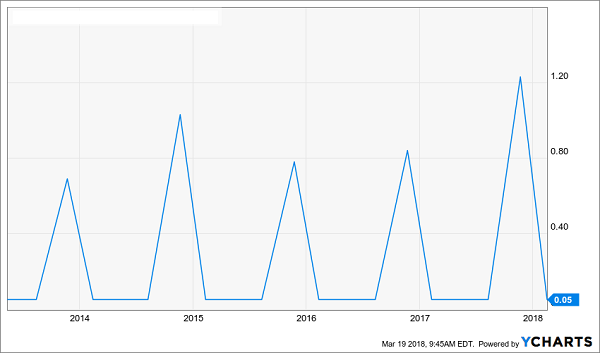 And with another special dividend announcement just a few months away, the time to buy is NOW. 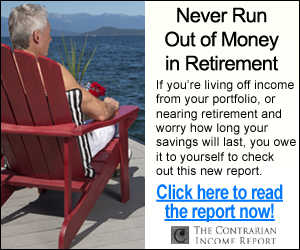 Don’t miss this opportunity for explosive gains and income. 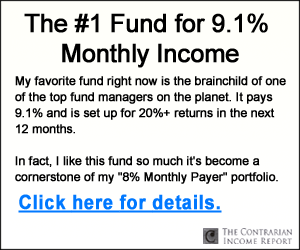 Click here and I’ll give you the name, ticker symbol and my complete research on this incredible 9% yielder (and my 4 other top CEF picks for 2018) now.